The Importance of a Strong Password - Western Web Doc - Modern marketing made simple. I am going to share with you the importance of strong passwords not only for your website but for your entire online life. When you are done reading this you will be equipped with the knowledge of a tool I have found to be very useful for organizing and securing all of your passwords. One study by W3Techs shows WordPress powers 59.2% of the to 10 Million websites on the internet with the runner up being at 6.1%. 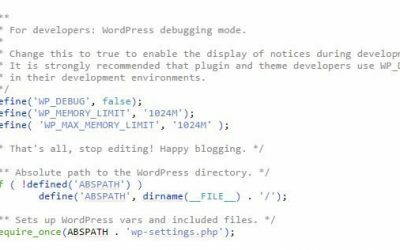 WordPress is powerful, free and a HUGE target for hackers. See the results of this survey here. One of the most common forms of attack on WordPress websites is what’s called a brute force attack. Essentially, hackers program robots to crawl the web and search for WordPress installations. Once found, the robot picks the most common username, “admin”, and begins to try every possible combination of password until it is cracked. Tip: Never use the default username. For WordPress it is “admin”. It is also becoming standard practice for website accounts to use emails as the username so it is easier for users to remember. The robots will also try what they think would be a typical email username. For example, admin@domain.com or info@domain.com. If the robot can guess your username it has solved half the puzzle right off the bat. The other half of the puzzle is making it as difficult as possible for the supercomputers to crack. We are all well aware and somewhat annoyed with the password requirements that website require but it is very important. Recently a supercomputer was revealed that can run 350 billion different combinations per second! This computer can crack a 6-character password almost instantly. Using uppercase, lowercase, numbers and special characters is good but is still no match for the supercomputers. The real strength comes with using longer passwords. You can see from the pattern that a 25-character password would be a huge number of possibilities and would take many years to crack using a brute force attack. Tip: Always use the maximum number of characters allowed for your passwords. WordPress.com recommends 30-50 randomly generated characters with uppercase, lowercase, numbers and special characters. LastPass will change your online life. Passwords that are compromised, weak, reused or old can be automatically changed using the LastPass password generator with one click. Using a password manager requires you to remember a single password. The trick is to make this password long enough to be secure but easy to remember. One way to do this is to use passphrases. Basically a passphrase is a combination of random words that are easy to remember. A good passphrase generator can be found at preshing.com but it is best if you think of your own. Feel free to use spaces as well. Remember, we are going for length which is the most secure. Don’t use the same password twice. If you reuse passwords from site to site, then someone who hacks into one site will be able to login to your account on other sites. LastPass will check all your accounts for duplicate passwords. Don’t share your passwords. Even if you trust the person, it’s possible an attacker could intercept or eavesdrop on the transmission, or hack that person’s computer. Use the LastPass secure sharing feature to share passwords. Don’t send your password to anyone in an email. E-mails are rarely encrypted, which makes them relatively easy for attackers to read. Again, use the LastPass secure sharing feature to share passwords. Don’t save your passwords in a web browser. They often fail to store the passwords in a secure manner. Don’t write down your password. If it’s written down somewhere and someone can find it, it’s not secure. Store passwords in LastPass instead, so that they’ll be encrypted. The exception to this rule is storing unrecoverable passwords (like the master password for LastPass, or your operating system account) in a secure manner. One good way to secure them is to keep it in a safe deposit box, or locked in a safe. That’s it! Make sure to check out our other tutorials for more WordPress tips & tricks. Sometimes Wordpress can get a bit bogged down. Increasing the memory that your server allocates to Wordpress can help. Some online businesses sell wholesale and are tax exempt. This article explains how to set that up in your WooCommerce store.